Location: Montségur, in the Ariège departement of France (Midi-Pyrenees Region). 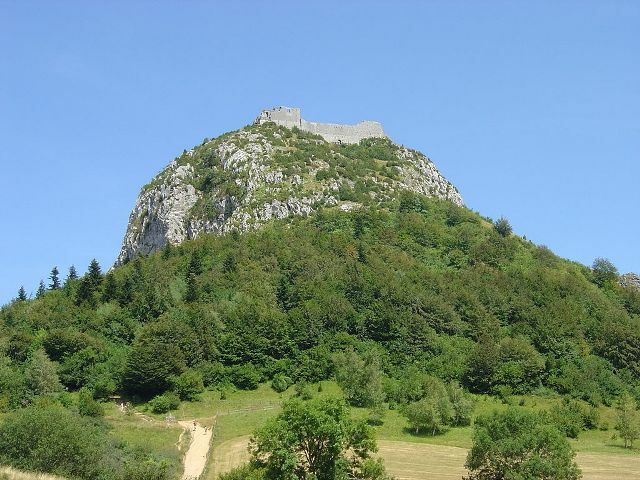 Notes: Château de Montségur (Montsegur in Occitan), built in 1206, is a qualified Castle "Cathar". Indeed, this castle was located in the leveled site of the old fortified village which was, until 1244 seat, place of Cathar resistance and faydits. Architectural dimensions demonstrate that the present castle was designed on the basis of the English cane which was introduced subsequently proving that it was partially rebuilt after the Cathar surrender 1244 by the family of the new lord of the manor, Guy II de Lévis.